I’ve always admired Iain Sargeant’s work from afar – particularly his “Out of the Ordinary” series of personal work that explores everyday scenes of the urban landscape in Scotland, almost reveling (I feel) in the banal, with a recurring theme of loneliness despite the presence of urban life being everywhere. 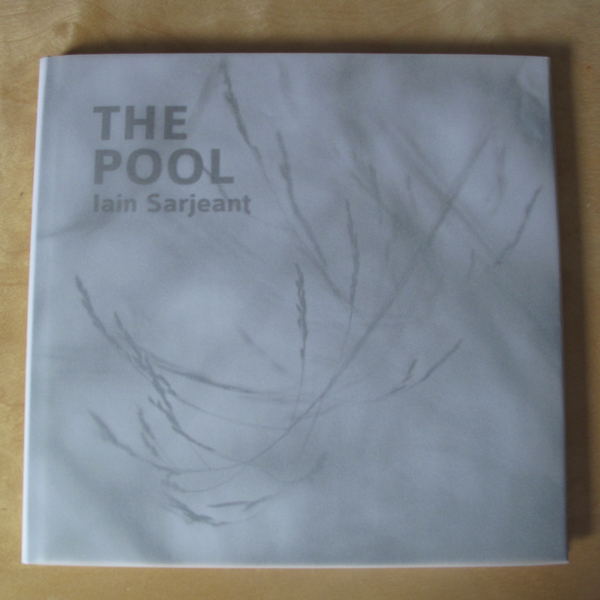 Iain Sargeant’s latest book is called “The Pool” and is quite far removed from “Out of the Ordinary”, as it focuses solely on a pool no bigger than 2m in width not far from his home – as opposed to the wide ranging travels throughout Scotland that are documented in “Out of the Ordinary”. Iain has chosen in “The Pool” to use black and white (slightly sepia?) and a very shallow depth of field when photographing the environs of the pool. This adds a very abstract element to the images. 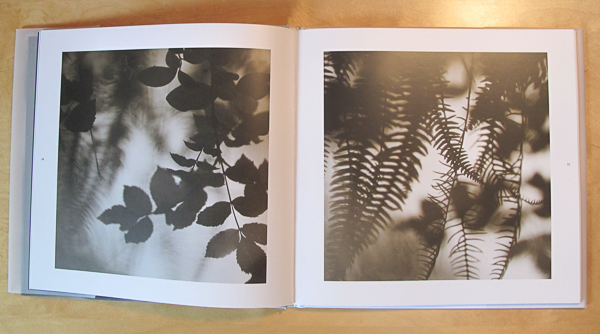 Its a very mellow book, the sort that I could imagine gazing through on a rainy afternoon with a malt in my hand sat in a bay window, slowly absorbing the nuance that each photograph contains. 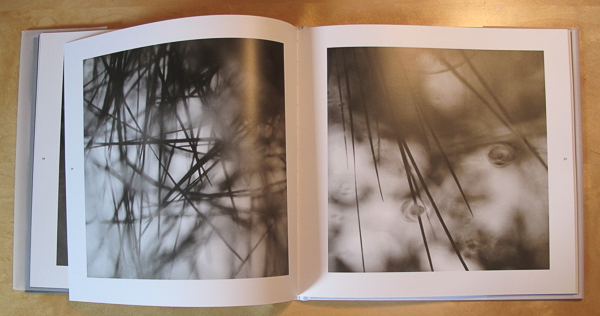 The photos, for me, are very meditative in the understated and thoughtful way of Takeshi Shikama’s “Silent Respiration of Forests” and Bae, Bien-U’s “Sacred Wood”, but on a much smaller and more intimate scale. I can’t describe it any better than this – its the sort of photography that makes my chest tighten and pulse go that little bit quicker as I marvel at the thoughtful approach that Iain has adopted when engaging with what is after all, just a pool. The book is produced by Triplekite Publishing, a double team in the form of photographers Dav Thomas and David Breen and is available from their site. 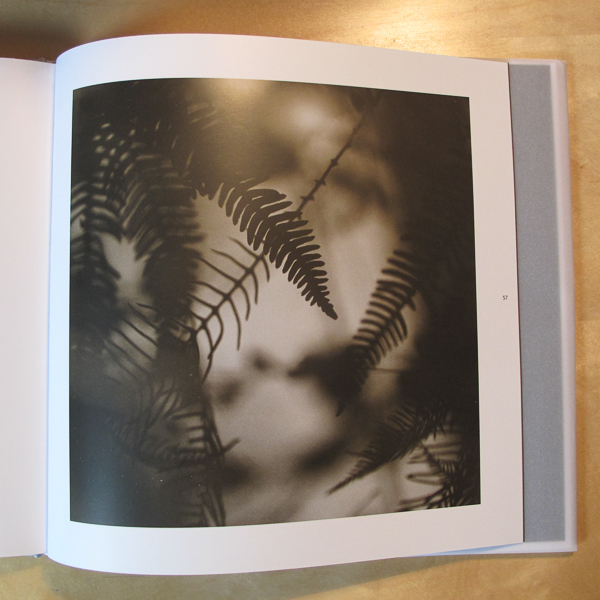 Dav and David have produced a number of niche photography books in the past year, focusing mainly on landscapes. Their book publishing efforts have been complimented recently with their new “bookzine” “Land | Sea”, which show cases some of the talent that the landscape photography community has to offer.